We are happy to announce that the OddBalls Affiliate Programme has now launched on AWIN. This will be managed by OddBalls and digital marketing agency, Silverbean. Since 2014, OddBalls have grown into a well-known underwear brand with their range expanding rapidly with socks, hats, pyjamas and sportswear all available online now all available online. every sale within a 30-day cookie period and have unique content provided upon request. So, what are you waiting for? Join the OddBalls underwear revolution today. From bold to bright, boring to brilliant, we have something for everyone! Association with OddBalls' Exclusive Affiliate Partners Agency. Happy Valentine's Day: Get 20% Off + Free Shipping With Code VALENTINE20. Holiday Offer: Use Code XMAS20 To Get 20% Off + Free Shipping On Your Holiday Shopping! Happy Socks Black Friday Week Sale: 30% Off + Free Shipping! Our Black Friday Week Sale is coming up and Happy Socks will be offering 30% off + free shipping. Make sure to benefit from increasing conversions during this time! Creatives can be collected from the Awin platform. Spread the happy news! 3 for £20 across selected Men's & Women's Multi-Pack Underwear - Limited Time Only! Mix & Match across selected styles - Limited time only! Our Underwear sets are a timeless best seller so take advantage of this amazing multi-buy offer! 6 Men's Boxers for £20 or 9 Women's Knickers for £20 - you can even mix between the two! Discount applied automatically at checkout. Happy Socks Halloween Promotion: 20% off + free shipping! Happy Halloween! Use code HALLOWEEN20 to get 20% off + free shipping. Code needs to be applied at checkout. 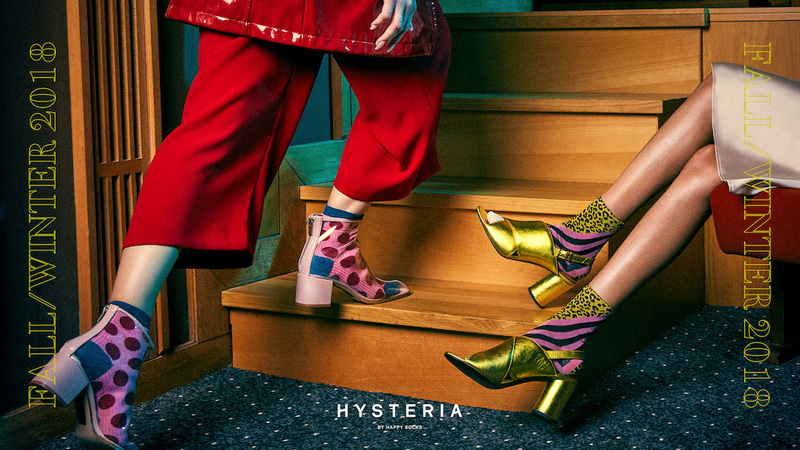 Hysteria is the first lifestyle sock brand solely focused on women's socks with a strong, modern aesthetic. We seek to breathe new life into an often neglected accessory, creating striking design-led pieces that will add something different to your routine look. More is definitely more this season: more transparency, more glitter, and more variety. From the new nylon tights to classic leopard prints with a twist, this collection offers a style for every occasion. Fall/Winter 2018 Collection - HAPPYFW18 code 15% off! New season, new patterns. The Happy Socks Fall/Winter 2018 Collection is now available. Add some happiness to your Fall/Winter wardrobe, and freshen up your look with our original new styles. Use coupon code HAPPYFW18 for 15% off our regular priced items! Happy Socks Summer Sale is still on! The summer sale is still going strong, don't miss out! Get 30% off and free shipping while the supply lasts. For a limited time only: get 15% off and free shipping! Get in on our big Summer Sale today! New year, new styles! Don't miss out on the exclusive 50th anniversary collection. Relive the love, color and creativity of 1968! Get the new limited edition styles today. The text link and banners can be collected from the Awin interface. For a limited time only: get 30% off and free shipping! Happy Father's Day: 20% off + free shipping! Nothing but the best for dad. Say goodbye to bland colours, minimum patterns and null personality when you shop the sock and underwear collections at Happy Socks. Find the perfect gifts today and use code HAPPYDAD20 to receive 20% off + free shipping! Easter Sale up to 50% off Lingerie and Nightwear! HAPPY SOCKS - BLACK FRIDAY/CYBER MONDAY SALE 2017: 40% OFF + FREE SHIPPING! Spread the News - Happy Promoting! New season, new patterns. The Happy Socks Fall/Winter Collection 2017 is now available. Add some happiness to your Fall/Winter wardrobe, and freshen up your look with our original new styles. Use coupon code HAPPYFW17 for 15% off our regular priced items! Make sure to benefit from our Summer Sale with 30% off + free shipping! 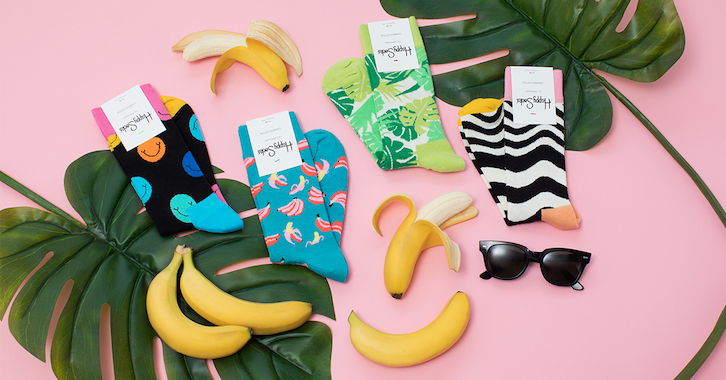 Happy Socks offers free shipping if shoppers buy socks and underwear in the same order. The offer is valid from May 30 until June 4! Happy Socks now offers free shipping if shoppers buy at least one Easter Gift Box! 1 Day Deal – Buy 1 Get 1 for £2 Underwear - Ends Midnight Tonight! Our popular twin pack boxer shorts set are our biggest seller, so make sure you take advantage of this fantastic offer for 1 day only! Discount applies automatically at checkout when you add two twin pack boxer shorts sets to your basket! Must end Midnight (GMT) TONIGHT 04/04! 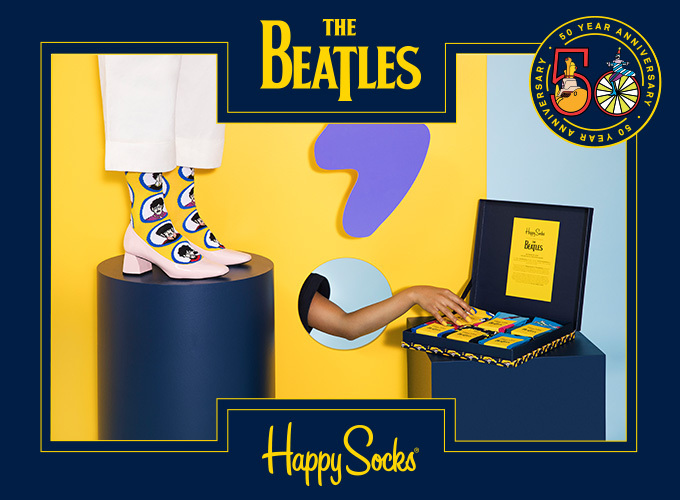 Happy Socks: Free Shipping On All Orders! From March 21 until March 28 Happy Socks offers free shipping on all orders. We have prints to suit every personality, all you have to do is find your perfect pair!